I know that HIVERY was born following a big data hackathon. As an experiment, you placed your platform on Coca-Cola Amatil vending machines. What results have you achieved? Like any startup, we only started the company when knew we can solve existing problems in a new way and better. This meant we needed to validate that our AI (artificial intelligence) algorithms where powerful to make a difference to our customer’s business pain point. 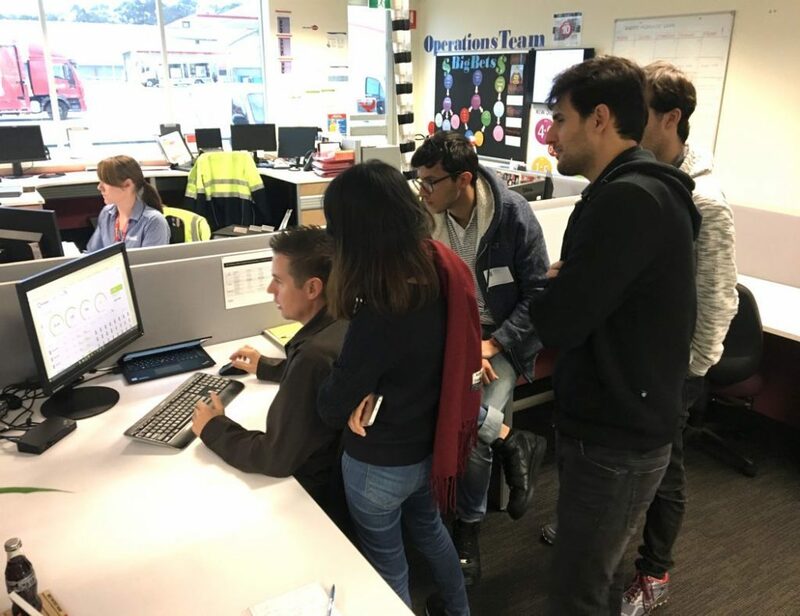 To test this, we started off with a simple experiment in Newcastle, NSW Australia, about 160 km outside Sydney, looking at 60 vending machines managed and provided by Coca-Cola Amatil (CCA) – Australia’s Coca-Cola bottling partner. The goal: to prove our AI thinks differently and that we could stack vending machines better to make an additional profit than current human method. After training our AI algorithm, we gave our recommendations to CCA and asked them to execute them in the market. 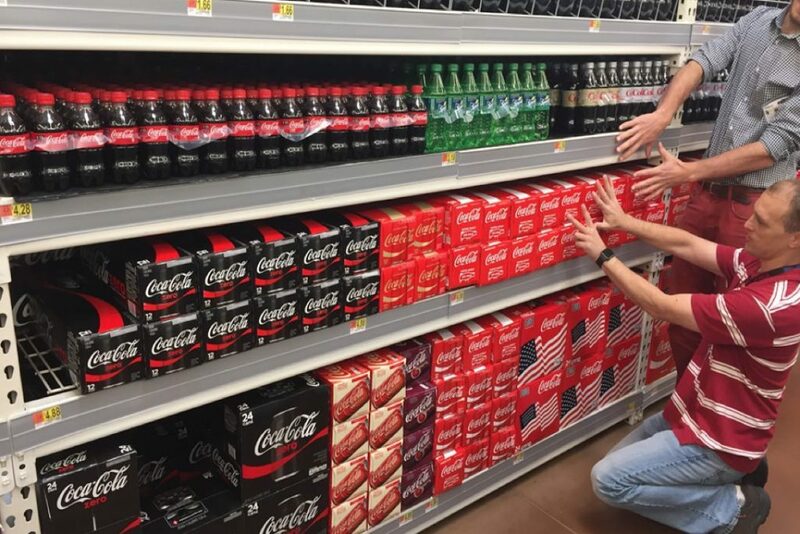 CCA went out and executed the recommended changes on the 60 machines and after few months they saw a 15% increase in sales and 18% reduction in re-stock visits. Why did you choose the vending machine business? Which real problems has this industry got in the USA and Australia? The vending machine is a great way to validate our AI solution and how AI thinks. Vending machines are data-rich and operationally companies have full control of the supply chain. This means you have good datasets to train your algorithms and have the power and control to make changes in the market while at a retail outlet the decision is ultimately controlled by the store owner. We started with the vending machine only to prove our unique value production and since then have expanded to other retail outlets/channels to address the problem of product optimal replenishment at store and product level. The race for optimal replenishment or shelf space is the most challenging problem in global consumer retail industry, costing suppliers and retailers $400 bln in lost sales per year. Optimal product replenishment for retailers is a major challenge. This is a global problem: USA, Europe, Japan, LATAM, etc. – all face this problem. This is because there is unpredictability in demand and the complexity of the supply chain drive by a range of business rules. HIVERY objective is the reinvest how retailer manages optimal replenishment by providing a precise description of future demand and rank each product on what item will sell the best in that specific individual retail outlet. When I say ‘retail outlet’, I mean this could be a kiosk, shelf space or vending machine. How long did it take to develop your technology? Was the niche empty when you entered the market in 2015? Our technology has been developed years before we started the company. We acquired exclusive rights to commercialize range of algorithms from the labs of Data61/CSIRO. In case you do not know who CSIRO is, they invented the Wi-Fi that you and I use today and stands for Commonwealth Scientific and Industrial Research Organisation. CSIRO is the leading science research organization in Australia. HIVERY was fortunate enough to secure both intellectual property (IP) and talent from Data61/CSIRO including Dr. Charles Gretton, Dr. Matthew Robards, and Dr. Menkes van den Briel (i.e. 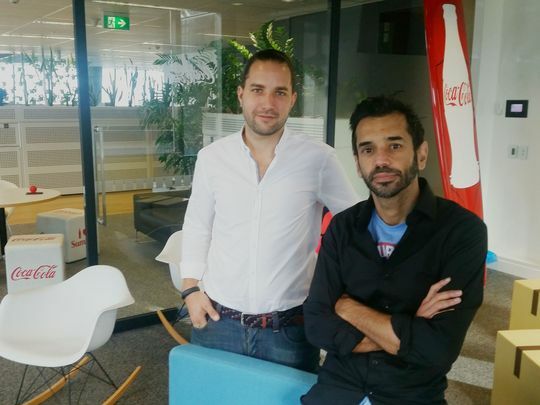 data scientists with backgrounds in Artificial Intelligence and Operations Research) who are also technical cofounders along with ex-Coca-Cola executives: Jason Hosking (сofounder & CEO) and I, Franki Chamaki (сofounder & COO). Who are your main competitors now and what differs your technology from them? There are always going to be competitors in this space, such as AI, Big Data/analytical companies. But what makes HIVERY unique comes down to 4 key elements: our IP, simple application design, talent, and approach. Briefly about the last two points: we take a lot of time to research, test and refine our user interfaces to know our customers can interact with our AI models to achieve business goals without needing to understand the science. This means our application requires little ‘domain expertise’ to use them. An experienced person typically requires at least 30 minutes to prepare a single planogram, our solutions can draw and optimize planograms in minutes without needing professionals with many years of ‘retail’ experience such as Category Manager, Space/Assortment Planner, Brand Manager, Buyer, Field Merchandising Manager, etc. HIVERY’s Discovery→Experiment→Deployment approach has ensured we are consistently addressing customer needs and remain customer-focused when designing AI solutions along with experimentation. How does HIVERY work? Why should there be 10 Mars bars at the vending machine at the train station, and more drinks in the airport’s business lounge? We can not go into too much details, but we can say we use AI/ML (machine learning) techniques along with Operations Research (OR) method to determine fingerprint recommendations at SKU/store level. Our algorithms are trained to understand the sales patterns of each product in the entire brand manufacture’s collection/SKU and learns what specific product (or stock keeping unit (SKU)) should go into what specific store. As an example, take The Coca-Cola Company, it has 500 brands and over 3,500 beverages. There is no way a retailer like Magnit, X5 Retail, Lenta (in Russia), Woolworths (in Australia) or Walmart (in the USA) or even say vending machine going to stock all 500 brands. Given physical space is important and costs both retailers/CPGs certain money per day; we help our customers ensure they have the right specific product(s), at the right price/promotion and stock supplied in their retail outlet’s channels. HIVERY’s recommendations are ultimately about allocating our planet’s resources. We do this by helping retailers and CPG/FMCG industry make better decisions with their products, product support, and distribution. Helped with our Discovery→Experiment→Deployment approach, we combine advanced computer science/AI, mathematics/OR and design to ensure we are consistently addressing customer needs and evolving our algorithms and understanding of the retail world. At what percentage can your AI-soft increase in sales revenue and reduce in restock costs? We have several products. So this is hard to provide a percentage change. However, if you take Vending Analytics, which we have validated in a controlled experiment in the market, we saw an increase in sales of 18% due to recommending better products to be stocked and a reduction of 15% in space for sales, reducing re-stock visit. We can also say with 100% confidence that whenever you compare an AI-driven recommendation vs human, AI recommendations always is superior. A lot of companies, retailers, big brands are realizing this. This means if you’re not leveraging or starting to think how to leverage AI, rest assured your competitors will be. Worse, your whole industry and you will be left behind. What was the seed capital to create the prototype of HIVERY? How much total money was invested in the startup in the aggregate? I can not get into details about funding but can say the initial investment came from The Coca-Cola Company, and it has not been required to raise any additional funds over the last four years of our operations as much of the income has been fuelled by sales revenue from customers. In 2019, we are seeking to raise capital. Next stage is about accelerating growth as we have proven our unique value proposition to the market. That is, we have established a product market and now seek to scale up. This would likely mean we will raise funds in 2019. How many clients did you have in year one and this year? When we started we had one major client, Coca-Cola Amatil (CCA). Working with them, we proved our approach, our solution, and our IP to be valuable. Our success with CCA opened doors to the global market and we now have over 20 major clients including those in the USA, Japan and China. We also opened up offices in Japan late last year. As for markets in Russia, we are interested in big retailers (i.e. Magnit, X5 Retail, Lenta, etc.) and/or big brands (i.e. P&D, Unilever, etc.). How do you monetize HIVERY? What are the software installation costs per a vending machine? All our AI solution are subscription based. Some are fee-per-month based such as Vending Analytics, or Outlet Analytics, while others apply value-based pricing. In addition, we also charge for consulting but this is purely to define business requirements and train/customize our AI to address our customer’s unique challenges. How are you going to develop the product in the long run? HIVERY has five AI SaaS-based products focused on optimizing retail space like never before. These are listed below. Vending Analytics – using AI to help vending operators optimize their vending machine at an individual machine level. Promotion Effective Tool – using AI to help FMCG companies design profitable calendar promotional strategies or ‘Trade promotions’. SAM (Store Assist Manager) – using AI to help FMCG companies optimize category space in retail stores such as Magnit, X5 Retail, Lenta. Outlet Analytics – optimizing stock and products at convenience stores, cafes, and restaurants. Trial Analytics is an algorithmic approach that allows sales, brand and management teams to track the results of field trials. Our commercial strategy is to continue to commercialize our solutions as we have done so with Vending Analytics (which was HIVERY’s first AI-based commercial product and has over 200K vending machines globally under advisement). AI is everywhere – retail, medicine, security, etc. How, in your opinion, will AI impact vending machine business in the future? Vending machine is just stepping in stores. It’s a simple market to provide AI’s value. As mentioned above, we have several new AI products which are going to be commercialized in 2019. We use AI, Operation Research and Design Thinking to do one thing: help our customers generate a return on physical retail space investment.